Everyone has bad days, and kids are no exception. There are some days when things seem to go wrong from the moment you wake up. It’s easy to feel angry and ask God “Why?” but it’s not always easy to hear His answer. 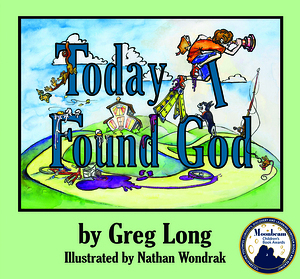 Today I found God is the playful children’s story about a boy on a quest to find out why God lets bad things happen. The fast-paced rhymes and whimsical illustrations lead to an ending that is both unexpected and uplifting. Discover God for yourself and find out He really is listening and wants to talk to you.